Badger and the Desert Rose, the eagerly awaited 3rd part of Kociper’s comics trilogy, featuring Badger as the main protagonist! 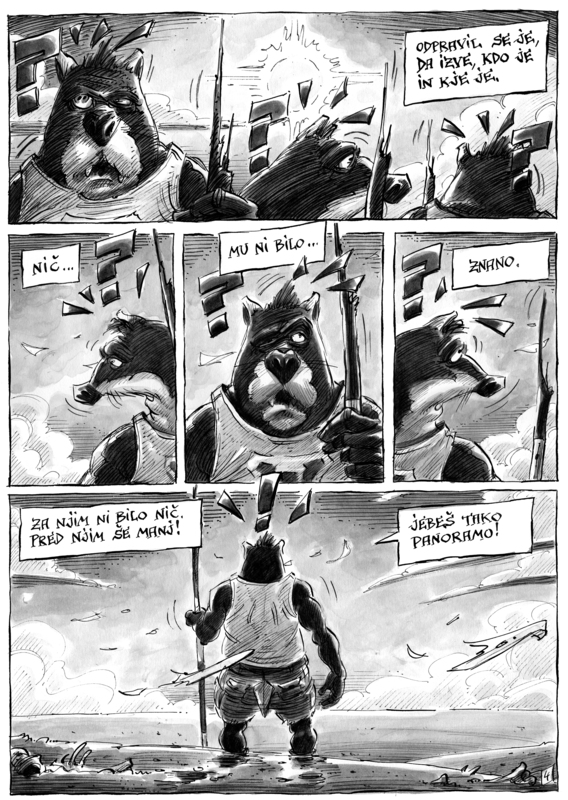 Marko Kociper is one of the most prolific Slovenian comics artists with a highly unique visual and narrative style. The common thread of his works are eroticism and satire. 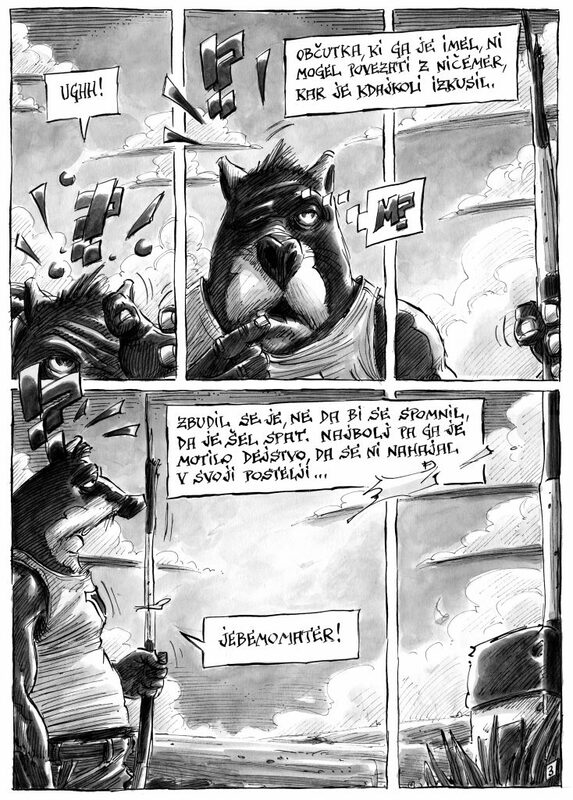 Kociper is an outstanding creator of comics characters who are anything but virtuous, but who nevertheless arouse much sympathy. So far he’s created seven solo comic books. He also boasts a great number of publications in printed periodicals, such as magazine Polet, for which he’s been creating weekly comics from 2005 until 2012. He’s received a working scholarship for this work by the Association of Slovenian Visual Artists. 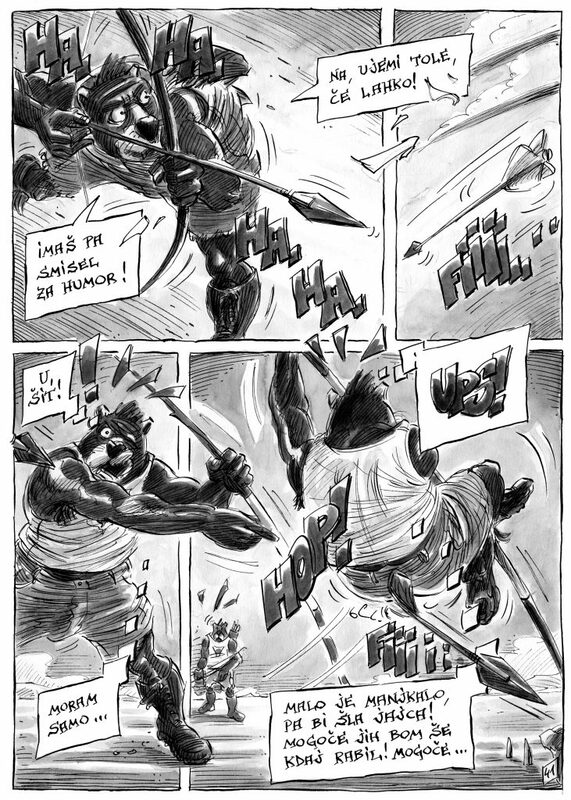 He’s exhibited his works on many different comics festivals and other cultural events. This book is published with the support of: The Slovenian Book Agency (JAK).